Question - What Modern Homes Would Sell in Charlottesville? You are here: Home / Albemarle / Question – What Modern Homes Would Sell in Charlottesville? I think there’s a real, untapped market for modern homes in Charlottesville. Latitude 38’s homes tend to look great and sell very well, for example. I really like this home; this one, too. (not taking a photos from their site as I don’t have permission â€¦ despite it’s being “on the internet”). 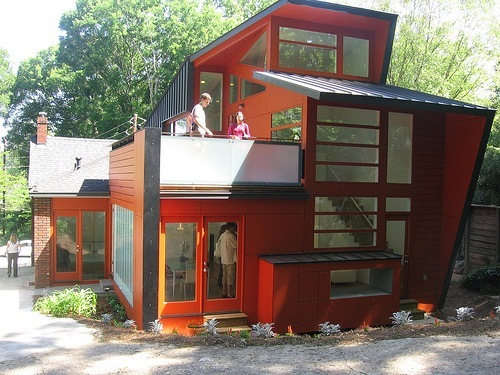 The very first RoehrSchmitt Architecture creation, the Wall House is a 2,000 square foot urban infill home that was a great collaboration between the owners, architect and builder. The budget was tight and the expectations high, but working closely together the team was able to achieve the owners’ objectives in a crisp, modern package for less than $150 per square foot. The design is efficient and easily adaptable to other sites and contexts. 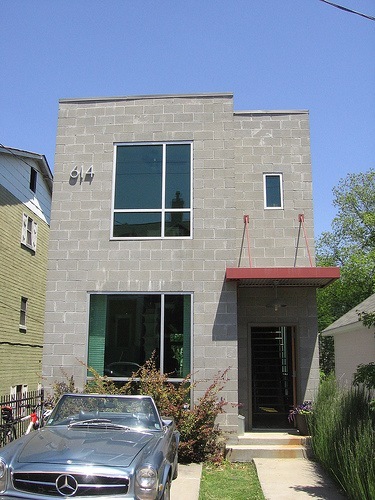 We see it as a prototype for an affordable modern house on a typical urban lot â€“ a loft with a yard. As my research has evolved, I’ve finally found a reason to use Pinterest. Really. I’m saving my favorites both in Pinterest and Evernote, but Pinterest just offers a simple, efficient, clean way to save and display these homes.